Any Breaking Bad fans out there? I’ve actually never watched it, but it would seem that everyone else in the world is a huge fan. I personally LOVE Homeland, and am so excited it’s back! I’m not so sure how I feel about the direction they’re going this season….but I’m interested to see what the writers have in store for us. I’m also excited for this week! I am COUNTING DOWN the days until MOH is here! And this time…she’s here to stay!! That’s right friends, my bestie girl is moving to Durham! It’s been 4 years since we’ve lived in the same town, and I couldn’t be more excited!! Oh yeah. Get ready Our Crepes and More because I’m coming for you! Ah, but I’m just so giddy about MOH moving. One thing that I’ve noticed as I’ve gotten older, is that it’s not exactly easy to make friends as an adult. And while I do feel like I have a great network of buddies here in Durham, I still don’t have that friend that you can TOTALLY be yourself with. Yeah… you know…. like that friend that you can pass gas in front of. Sorry! I mean, obviously it’s not just about passing gas, but that is part of being totally comfortable around someone. That friend that you can call and say, “Hey. I’m heading to Target and running errands, wanna join me?” Yup. So I couldn’t be happier to have MOH in town. And even better, she’s Parrish’s bestie too, so we’re both ready for her to be closer. SO yeah, the countdown begins! 5 days! Have you seen all the pumpkin recipes floating around lately? I found a handful recipes that gave me a good starting point. I knew I wanted the smoothie to first: Be delicious. Second: Hold me over until lunch. And third: Taste like pumpkin pie. Thick, creamy, and OH SO DELICIOUS! Yep. It tastes just like Pumpkin Pie! Bananas are the perfect light-in-flavor base for this smoothie. Pumpkin Puree is a no brainer, and quite a bit healthier than pumpkin pie filling. The protein powder and rolled oats give this smoothie the staying power a breakfast needs. The pumpkin pie spice…well, that’s what makes it taste like a pie without the calories. Almond milk is delicious, but you can also use regular milk or soy. The only thing that could make this smoothie better would be sprinkling it with crushed GF graham crackers and eating it with a spoon. Wait. That’s not a bad idea! But maybe not the healthiest idea….but it would be delicious. Try it. I know you’ll love it! What about you? Pumpkin, Pecan, or Apple Pie? This week is flying by – I can’t believe it’s Wednesday already! Yeah, it’s a hard life! I love them all. They’re super soft and really comfortable. After work I headed to my BELOVED ZUMBA CLASS! I’ve missed the last two weeks because of personal commitments and work obligations, so I was happy to be back! I arrived early and had time to squeeze in a small track workout. Basically, I sprint for 1-2 laps around the track and then speed walk to recover. It’s a super effective way to burn calories, because my heart rate never drops out of the burning zone. Plus I can maintain the small bursts of speed without getting overly tired. And it doesn’t hurt that sprinting pretty much makes you feel like an Olympic Track Star. Zumba was amazing – as always! I’ve been a loyal Zumba fan for nearly 8 months now, and I honestly can’t believe how much it has changed my life! Obviously it has been a firestarter for weight loss, but it’s also made me more confident and loads happier. And last nights class was no exception. Luckily I had chugged my Vega Pre-Workout before starting the track workout. Otherwise, I don’t think I could have powered through over 1000 calories. I left the YMCA on a Zumba High – and STARVING! Track + Zumba = HUNGER! As soon as I got home, I opened the fridge: Nothing. Opened the cupboard: Nothing. Opened the freezer: BINGO! Suggested to me by a blog reader, I had pretty low expectations going in. I mean, how good could it be? Ummm….so good!!! You guys, this pizza literally ROCKED MY WORLD. Yep. I mean, it has MANCHEGO CHEESE!?! Delicious. Even the tomato slices were delicious. The crust was chewy and pretty much lacking of any real flavor, but the sauce and cheese packed a real punch. It may be one of the best gluten free frozen pizzas I’ve had, and definitely one of the best on the market! Luckily I was able to control myself and only eat half – so I can give you guys a full report on how it reheats for lunch today. And yes, I am looking forward to my lunch today! Have you tried the Trader Joe’s GF pizza? Aww man. Time is FLYING BY! September is nearly over, and I feel like it just began. Lately I have started feeling this overwhelming urge to go back to my old style of blogging, where I would document my life in greater detail. There is something about having those memories imprinted forever, an online journal of sorts, that I really miss. Don’t get me wrong, recipes and food postings are still fun, but I miss talking about my day to day. But with months like this, it’s always too busy to start. Plus with my busy work season starting in just a few weeks, I’m not sure how feasible it is to blog more…but I do want to try. Just yesterday morning I was going to sit down and type out Parrish’s birthday weekend, but the day got away from me. Even GHM Instagram was pretty quiet, and you guys know how much I love my instagram. But here we are. Tuesday morning and I’m running out the door, so birthday recaps will have to wait. for Spaghetti Squash Caprese. Seriously. It’s life changing delicious. It was my first time cooking with Spaghetti Squash and I am officially obsessed! I have a very strong feeling that you will be seeing lots of spaghetti squash in the GHM Kitchen! I followed this recipe HERE from Pinterest. My only advice? Double the recipe! Back in 2008….yep. 2008!! Man, I have been blogging for a long time! Yeah….I wasn’t a very good photographer in 2008 either. But as you can see from the blurry picture, Chicken Crescents are a combination of delicious chicken, cream cheese, spinach, and garlic, stuffed inside a pastry shell. They are SO GOOD! But as it turns out, after that attempt in 2008, I never made them again! For me, making my own dough was a lot of work. Plus, I never have shortening in the house. So this recipe fell into the vaults. Fast forward to this past weekend when what did I spot on the shelf at Target? 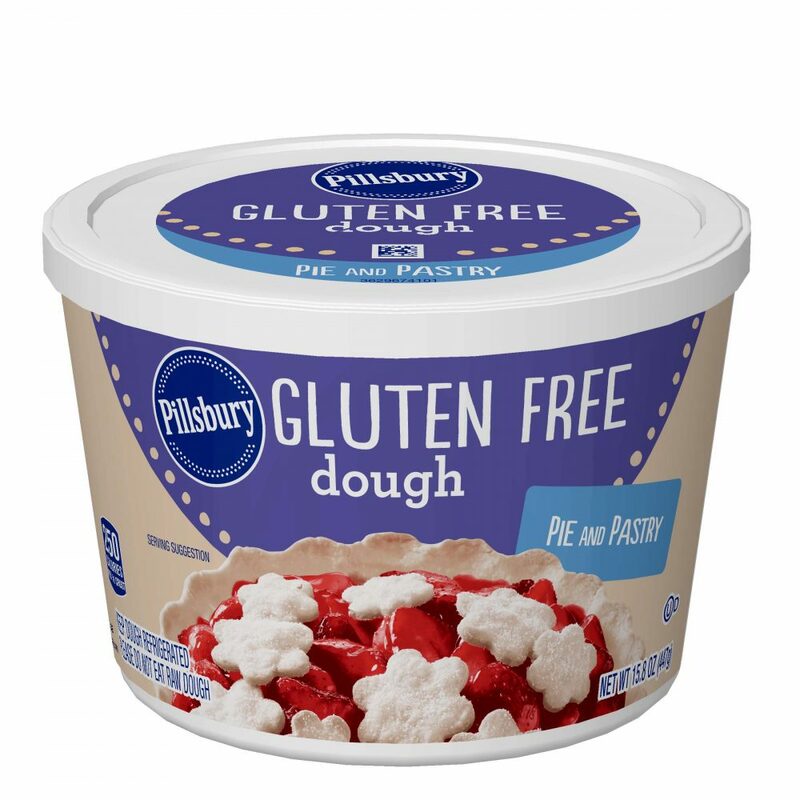 Drumroll………..
Pillsbury’s NEW Gluten Free Pie & Pastry Dough! The dough itself was CRAZY EASY to use. Just a bit of kneading and it goes from crumbly to pliable. Rolling it out was a bit harder, but I had some Gluten Free All Purpose Flour on hand. A delicious, flaky, buttery crust wrapped around warm, ooey gooey, creamy, cheesy, goodness. AND you can make the filling a day ahead of time, making prep time super fast! Combine all ingredients in a large bowl. HINT: If you lay the warm spinach on top of the cream cheese in the mixing bowl, then it will heat the cheese and help you mix it easier! Be sure to mix well. It’s that easy! After rolling out the dough, cut it into large sized squares. These will be your purses. Plop filling into the center of each purse and wrap around the filling. Be sure to pinch and squeeze any holes formed on the bottom of the purses. A few on the top will be okay, but if on the bottom, then the filling could seep out. Then just follow the baking instructions on the tub of GF Pie & Pastry Dough! Parrish and I both love to eat our Chicken Crescents with Cranberry Sauce. Sounds strange, but it’s totally delicious! Man. What is it about super fun weekends that make getting back in to the swing of things so darn hard?!? Oh yeah, I guess because they’re super fun and you don’t want the fun to end! This past weekend my beautiful Sissie got married in Lake Bowen, SC. The location was absolutely gorgeous! And if you live in SC, then you know that we had THE BEST weather to boot! The ceremony was perfect. Short and sweet. I’m so happy for my Sissie. We all love her husband Jerry, and couldn’t be more excited for them. What a blessing to celebrate with them. Also a blessing? Spending an entire weekend with my family! There was plenty of good Southern BBQ – my favorite. My Dad even arranged for a DELICIOUS Gluten Free German Chocolate Cake! Yep. It was a weekend for the history books; one of those weekends that leaves you a little bit sad that it’s over. But hopefully there will be more fun family time in the near future. Plus, tomorrow is a pretty special day…..
or….Happy Birthday Dr. Samual Gee! Yep. The first doctor ever to document Celiac Disease and realize that it’s connected to a dietary component…in 1888! Happy Birthday Gee! I for one, am SUPER HAPPY that Celiac Disease was discovered, realized, and documented. As someone who was sick for years with no answers, I am so happy to KNOW that I have Celiac Disease. Am I happy that I HAVE Celiac Disease? Well, no. Gluten is delicious. But I’m more than happy to be gluten free if it means I’m healthy and feeling like garbage all the time. Gluten Free is delicious too! Well, some Gluten Free items are delicious. And today I have a very special Celiac Celebration GIVEAWAY for you guys with one of my personal favorites! Luna Protein Bars! 100% Gluten Free and 100% DELICIOUS! 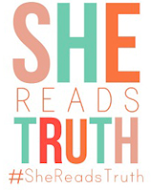 These bars have gotten me through many a busy work days, dinner parties, and long car rides. it’s perfect for keeping me fueled and helping me not get….hangry. And today, Luna would LOVE to help you celebrate Celiac Awareness Day with a delicious giveaway! 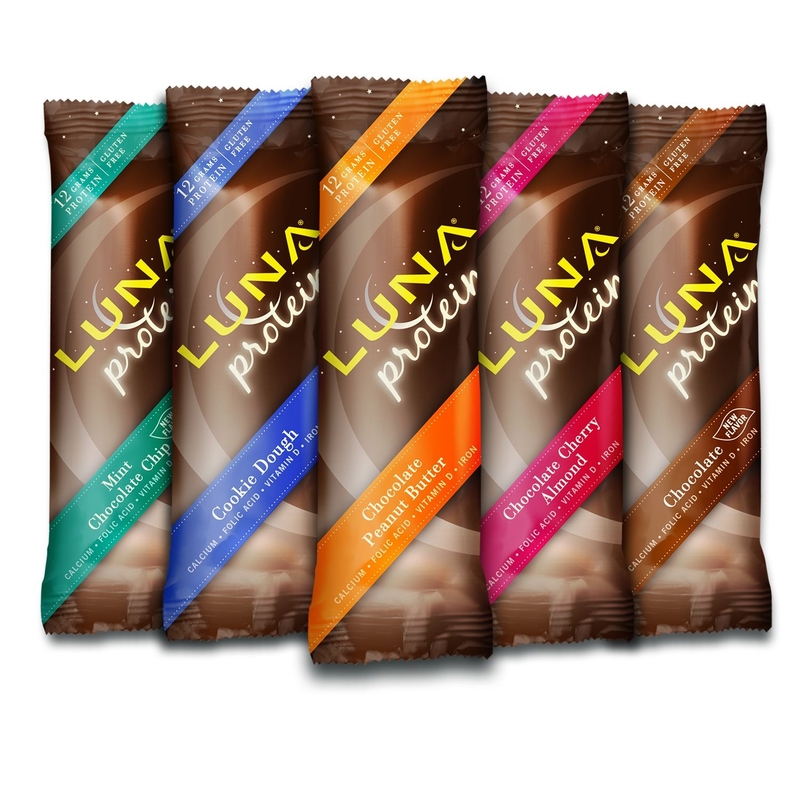 One lucky GHM reader will win one box of Luna Protein Bars, flavor of their choice! (I suggest peanut butter) This giveaway is sponsored by Luna. Winner will be chosen randomly Monday – September 16th at 6pm. LUNA provided Gluten Hates Me with product free of charge, but the opinions I’ve expressed belong solely to GHM. Eating the same old thing week after week may be easy….but yeah, it’s not always exciting. So I’m scrapping my original plans for a big salad tonight, and I’m bringing out an oldie but a goodie out of the recipe box. I absolutely love taco cups, and they actually aren’t that hard to make. I just sort of forgot about them! The taco cups are easy to make thanks to Rudi’s GF tortillas. and then place them in a cupcake tin, letting the corners pucker up. Then fill with whatever you love! I like seasoned ground chicken, homemade guacamole, a tiny bit of monterey jack cheese, and a tomato. So good! Since it’s made from a tortilla (and it isn’t just a crispy corn chip) it doesn’t fall apart in your mouth. The cup is crispy on the edges but still pliable. I was pleasantly surprised the first time I made these because the cup didn’t crumble when I took a bite! It’s definitely easy to get in a rut with food. Especially for me, since I love a good routine. I guess first I should say that I was preparing Hummus & Rice Fritters…. yep, a delicious new dish that I had last week for supper too! Here’s the thing, this week is crazy busy. In fact, it’s so busy that I had to sit down and literally schedule in time for exercise. So making a recipe that I’m familiar with made supper easy this week. And I didn’t feel in a rut when I sat down to the table and enjoyed these yummy fritters. They are delicious. I guess I feel like if I’m in a rut then I would feel bored? But I am excited to try new things. So let’s hear it. Do you have a favorite recipe I NEED to try? Did you have a good weekend? Mine was busy, busy, busy at work. We had beautiful weather here in NC, hoping you did too! Bootcamp with my hubby! Our local YMCA has this amazing class on Friday morning called Intensity. It’s a high intensity, cross training class. Sort of like Cross Fit. It has tons of weight lifting, and it always pushes me to my limits. I love getting to work out with Parrish. We get to spend time together and do something that’s good for our bodies. Healthy bonding time – love it! Since I worked all weekend, I didn’t really get to do much in the kitchen. I did make time Saturday night to make a final batch of gluten free fried green tomatoes. Parrish is converting our garden over for Fall and Winter, so we had quite a few green tomatoes. No, they’re not healthy, but they are delicious. And since I indulged on Saturday night, you can bet I’m heading to X-Train class this morning! Just like Intensity, it’s a really good workout. 12 hour work day yesterday? Yep. Phew. That was a long one. But you know what? It honestly wasn’t bad! Not once did I feel negative or frustrated – I guess that goes to show what a huge difference your co-workers can make! I love my co-workers; they make my day ten times easier. Once again I’m rushing around this morning. I’m going to Bootcamp before work today, and I couldn’t be more excited about it! Since work has been crazy, my eats haven’t been all that interesting. So I thought I would share some new favorites that I discovered this weekend! Silk Chocolate Almond Milk Fro-yo! It’s Dairy-Free, Gluten-Free, and totally DELICIOUS! Obviously I skipped all the toppings. It was a busy day at TCBY, and the toppings bar was a cross-contaminated mess. And honestly, you don’t even need toppings. It’s SO GOOD!! an Angry Orchard cider tasting with bestie! Elderflower was interesting. At first I didn’t think I liked it, but by the time I finished it, I knew I did. It sort of tastes like a beer cider. The Apple Ginger was tasty, but a bit too sweet to have more than one. Three tasty treats in one weekend? I was one spoiled Celiac! I hope your weekend has some tasty Gluten Free Treats! Absolutely DELICIOUS! Crispy on the outside – Creamy on the inside, and positively tasty. Bonus? It’s a Cooking Light recipe! The recipe is in this month’s issue of Cooking Light, but you can also find it online HERE. Just be sure to check your hummus and make sure it’s gluten free! I didn’t have any gluten free all-purpose flour on hand, so I used Gluten Free Bisquick to replace the cake flour and it worked great! I know you’ll love it! I mean, what’s not to love about a fritter? Seriously? I love pretty much everything in fritter form! Welp, off to work. It’s an even longer one today!! Yep. Just as I predicted, today feels like Tuesday. But no, it’s Wednesday, and a BIG day at work today! The rugs arrive at 2pm, and I’ll start unloading them into the store. Still lots of preparation before that can happen, so a good breakfast was in order this morning! Whipped Gluten Free Oats topped with a thin layer of Nuttzo and a sprinkle of Udi’s Vanilla Granola for crunch! In the mix: 1/3 cup Bob’s Red Mill Gluten Free Rolled Oats, 1/3 cup Silk Unsweetened Vanilla Almond Milk, 1/3 cup water cooked on medium with 5 slices of banana. Whipped until creamy and thick – topped with delicious toppings and served! I feel like eating a healthy, balanced meal is what keeps me sane on crazy days. I give my body the fuel it needs to work. It starts with breakfast, and this morning I was determined to have a good one! How do you fuel up for a big day? Honestly, I can’t believe it’s already September! This is going to be a big month for the Ravelli’s, we have my sissie’s wedding on the 14th, our wedding anniversary on the 18th, and Parrish’s birthday on the 21st! Not to mention the rug event at my work this coming Thursday and Parrish’s work is celebrating their 5th anniversary. It’s going to be busy BUT FUN! This past weekend I sort of had a preview of my busy month; bestie and I travelled down to SC to meet up with our sissie and auntie to work on tasks for the upcoming wedding. I don’t know about you guys, but I LOVE wedding planning! who cares! It doesn’t hurt that Clemson won Saturday night either! Plus we had a lot to do on Sunday! Like heading to the pool – priorities people! Priorities! To a four year old, pool > sleep. Luckily my nephew baby Miles agreed. We had a great time at the pool, and enjoyed some delicious takeout from Five Guys Burgers and Fries. Yum. It doesn’t take much friends. Kale Chips are super simple, and even if you don’t like kale, you may like these! They’re crunchy and will honestly taste like whatever seasoning you top them with. Not bitter in the least, I LOVE kale chips! Want to try them at home? You can find the recipe here. And with that, I’m off to a busy day at work! I love Tuesdays that feel like Mondays. That means the weekend will be here before we know it! 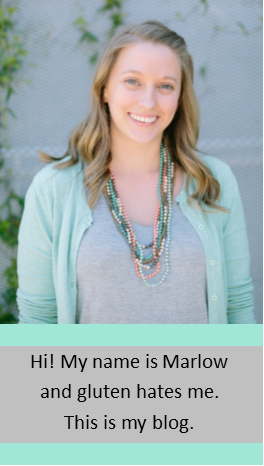 The winner of the Water Kefir GIVEAWAY is posted!